Sylvia Robinson passed away today. In her honour, and ’cause it’s such a brilliant version, here’s a re-up of Sky’s post about Sylvia’s cover of Je t’aime…moi non plus. Brand new single by Brit-rockband Kasabian. Interesting shows with Jane are coming up. Together with Arthur H, Stef Kamil Carlens and Waits-collaborator David Coulter Birkin is part of a tribute to the Tom Waits-album Rain Dogs. She appears in two shows, one in Eindhoven (Holland) and one in Paris. Later on, Jane and four ‘of the best Japanese musicians’ pay tribute to the songs of Serge Gainsbourg. Why? Well, Jane asked herself the same question. From her site: ‘I’d done it all before, Serge in pop, arabesque, classic quator, 14 musicians, 6 musicians, a harp, a squeeze box, violins…’. But then the earthquake in Japan happened. Jane was shocked: ‘I have known these people for forty years… “go there” I thought… tell them that back home folk are thinking of them, but get there, “and do what ?” What can I do? …the only thing I can do… a concert…’ That concert grew into a full-blown tour. She’s coming to Amsterdam, various European cities and the US. See here. Reviews of the show (links, or written by you) are welcomed! No, Benjamin Biolay did not write Isabelle Boulay’s Fin Octobre, début Novembre, but he sure sat on the producers chair (see here and here). He produced Boulay’s new album (out Nov 8), this is the first single. Now, when it comes to Isa, there’s always some reservation. Yes, she’s absolutely gorgeous. Yes, she has a fine voice. But her songs border on bland, mainstream territory. Be that as it may, I loved Chanson pour les mois d’hiver, I loved her duet with Julien Clerc, I can name more than a handful of other great songs by Isa. Fin Octobre, nothing wrong with that one either. Dutch biologist and writer Midas Dekkers wrote an ode to redheads, wonder if he knows Isabelle and what he thinks of her. Now there’s a smoking albumcover, innit? It gets hotter when you unfold it – there’s singer Flora Dolores with all her best diva-features in full display (yet clothed). 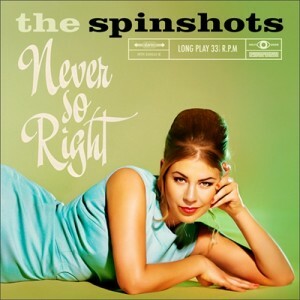 The Spinshots, you know this band from Amsterdam. They’re regular guests on this blog ever since they decided to record one of their tracks in French (this one). They contributed to Gainsnord (this track). And now they’re releasing their debut album. On vinyl, of course. They play ‘neo-exotica’, they draw from everything between Bollywood showtunes to Ethio-jazz to French yeye. This Saturday, they’re hosting a big releaseparty here. Unable to join the fun? Keep watching their website for all the news. That other Claire that we love here at FS HQ, Claire Keim, released a new version of Mes silences this week. To me it sounds a little Lara Fabian’ed, if you ask me. There’s was little to nothing wrong with the original version (not a very good link, alas). Still, this is an opportunity to post a nice pic of Claire Keim, one should never miss that. Yes, we are partisan. Always were, in the six year this blog exists. You all know we have our prefered sweethearts. we’re on first name basis with ‘m: Camille, Charlotte, Beatrice (Coeur de Pirate), Coralie, Vanessa. And Claire. 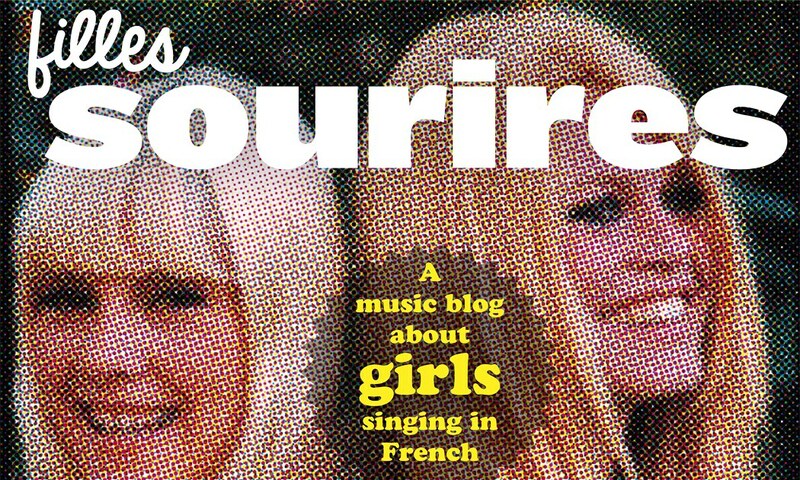 And because Claire has a new album, it is a happy day at Fillessourires. Us and Claire, it started in 2008 and continued in 2009 when her first, self-titled album came out. And now there is a new album “Vagabonde”. Earlier this year we could see Claire has grown (duh! 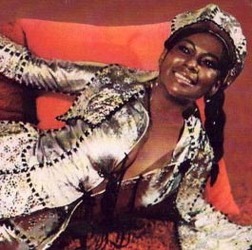 ), as she showed in the catchy “Bang bang bang” (released on an EP in May) and in some sessions she did this year, like this one where she covers Big Mama Thornton. And now there is “Vagabonde”. She continues to be our Claire, but she is older, more mature. It is clear that she’s studied the musical history, especially Americana (she lived in America, you know). The whole album sounds like an Americana album, sung in French, with “our” Claire’s husky voice, like in the new single “Rien de Moi” (also on the EP). For a teaser I decided to pick “34 Septembre” because that is a new song and it is in two weeks from now. Welcome Back, Claire!